Nestled in the Hollywood Hills above Los Feliz, the Greek Theatre is rounding out its 2017 season in late September and early October. It’s not too late to catch a great outdoor concert and experience one of Los Angeles’ most iconic venues this fall. Enjoy a blast to the past with Adam Ant and L7 taking guests to the 1980s on Saturday, Sept. 30. The indie rock band War On Drugs performs on Thursday, Oct. 5; country music artist Sturgill Simpson plays The Greek on Friday, Oct. 6; and singer-songwriter Father John Misty and Weyes Blood bring their music to the iconic venue on Friday, Oct. 13. 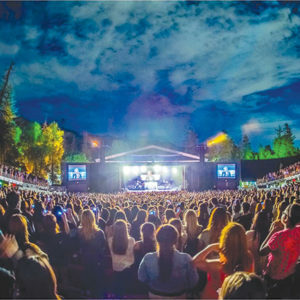 The Greek Theatre, located at 2700 N. Vermont Ave., has been known as one of Los Angeles’ top outdoor venues since 1931. Shuttle service is available for $10 from the Pony Ride Train Lot, 4400 Crystal Springs Drive, in Griffith Park. For information, call (844)LAGREEK, or visit lagreektheatre.com.